I bet I got your full attention now! I don't blame you. Who wouldn't want to know how to make this yummy yumminess! 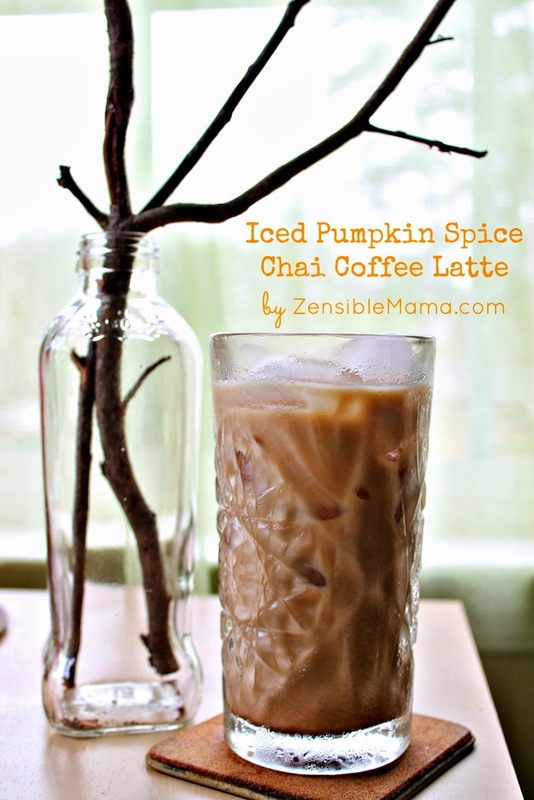 It's super-easy and tastes just like your favorite Starbucks blend, or better I promise. Dissolve Via in a small amount of hot water. Fill it with ice cubes then add the 6 oz. water. Stir. 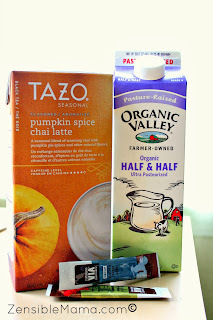 Add the Tazo Pumpkin Spice Chai Latte, followed by creamer. Stir until fully mix. 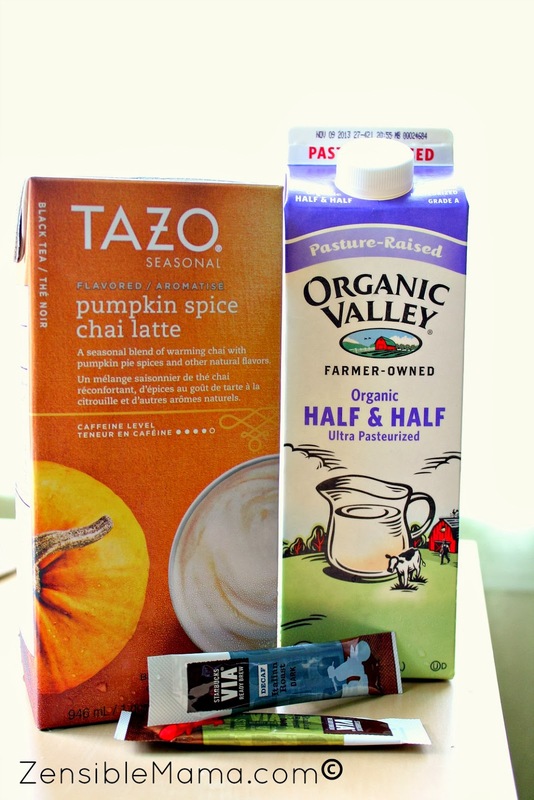 Add more ice, Chai latte and creamer according to taste. Note: For those asking if they can make this "hot", YES YOU CAN. Replace the cold water with hot. Or you can heat it with the Chai and creamer together (in low heat, occasionally stirring) and voila! HOT!